Two years of obstruction and tactical maneuvering weren't enough to keep a large coalition of shareholders, led by Rhode Island General Treasurer Seth Magaziner, from taking Navient Corp., the nation's largest student loan servicer, to task over its role in the growing national student debt crisis today at the company's annual meeting. This is the first time shareholders have had the opportunity to vote on Treasurer Magaziner's proposal, which would require the company to provide shareholders with an analysis of risks and potential governance failures related to the student loan crisis. It is highly unusual for more than a small percentage of investors to vote against management in a shareholder proposal of this type. Preliminary results show 43 percent voted in favor of Magaziner's proposal. "This is a stunning result," said Treasurer Magaziner. "If nearly half of Navient's own shareholders are willing to publicly vote against management, Navient had better get serious about addressing the student loan crisis. Too many Rhode Islanders and Americans are facing severe financial hardship due to irresponsible student loan practices." Student loan debt is the second-largest source of household debt in the United States, second only to mortgage debt. The New York Federal Reserve estimates that 44 million borrowers owe $1.5 trillion in student loan debt, an increase of over 30 percent in just five years. At the same time, more than 1 million Navient customers have defaulted on their student loans. Representatives from Treasurer Magaziner's office were joined at today's meeting by representatives of the AFL-CIO and the President of the American Federation of Teachers (AFT), Randi Weingarten. 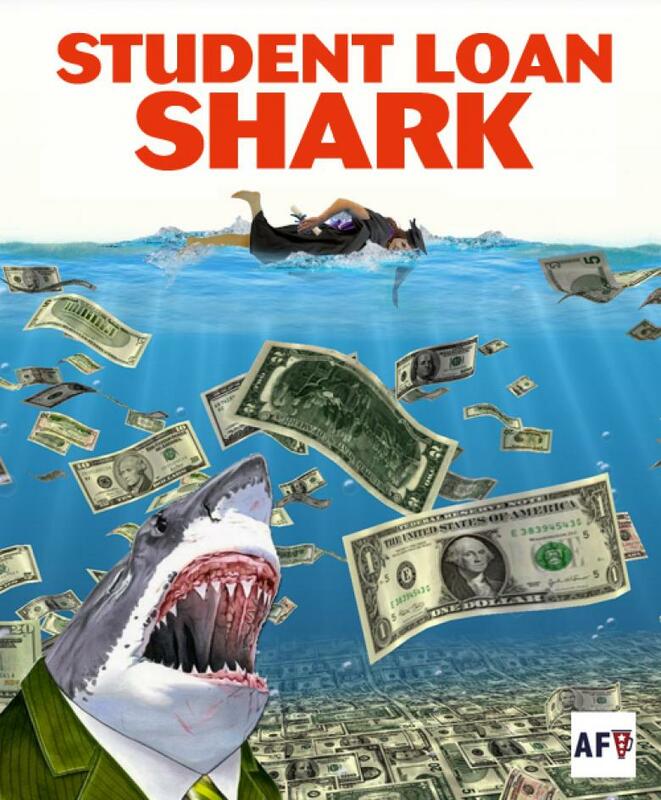 "Navient epitomizes all that is wrong about the student loan servicing industry-its predatory nature that fleeces rather than helps students," said Weingarten. "Instead of working to fix this national student debt crisis, Navient profits off it, while spending millions on lobbyists to remove even the slightest check on its activities. It overcharged our servicemen and servicewomen and allegedly tells its call-center staff to push forbearance-a temporary stop on or reduction in student loan payments-against borrowers' best interests. "I hope that by asking tough questions on behalf of shareholders and student borrowers, the Navient board may understand they can't hide, and then will begin to act in a prudent and responsible manner," continued Weingarten. The AFT represents 1.7 million members, many of whom own shares in Navient through their pension funds, including teachers in Rhode Island, whose retirement system filed the proposal. "Navient can't have it both ways. It profits off the student loan crisis through government contracts, but when mild questions are asked of its strategy to manage risk, it tries to prevent public scrutiny. There is a role for student loan servicers, but only if they align their strategy with the long-term interests of shareholders and borrowers, not the whims of Wall Street. RIFTHP is committed to doing everything it can to reduce the onerous burden of student debt, and seeking transparency from loan servicers is an important component of that advocacy," said Rhode Island Federation of Teachers and Health Professionals President Frank Flynn, who is an AFT vice president. Treasurer Magaziner and co-filer AFL-CIO are asking Navient to publish its governance measures to monitor and manage risks arising from the growing student loan debt crisis, and whether this category of risk is considered in senior executive compensation. "Navient is the largest servicer of federal student loans and as such is more exposed to the risks of the student debt crisis than any other company. The working people whose pensions are invested in Navient deserve to know how the company will protect that investment in the face of this growing risk," said Sarah Lewis, Senior Lead Researcher for the AFL-CIO. Navient is currently facing lawsuits from the Consumer Finance Protection Bureau, Washington State, Illinois and Pennsylvania, alleging that it harmed student loan borrowers. The Company is also facing a class action lawsuit from investors alleging that it made false and/or misleading statements and engaged in deceptive practices to facilitate the origination of subprime student loans.